Tomorrow we will celebrate Owen's first birthday. 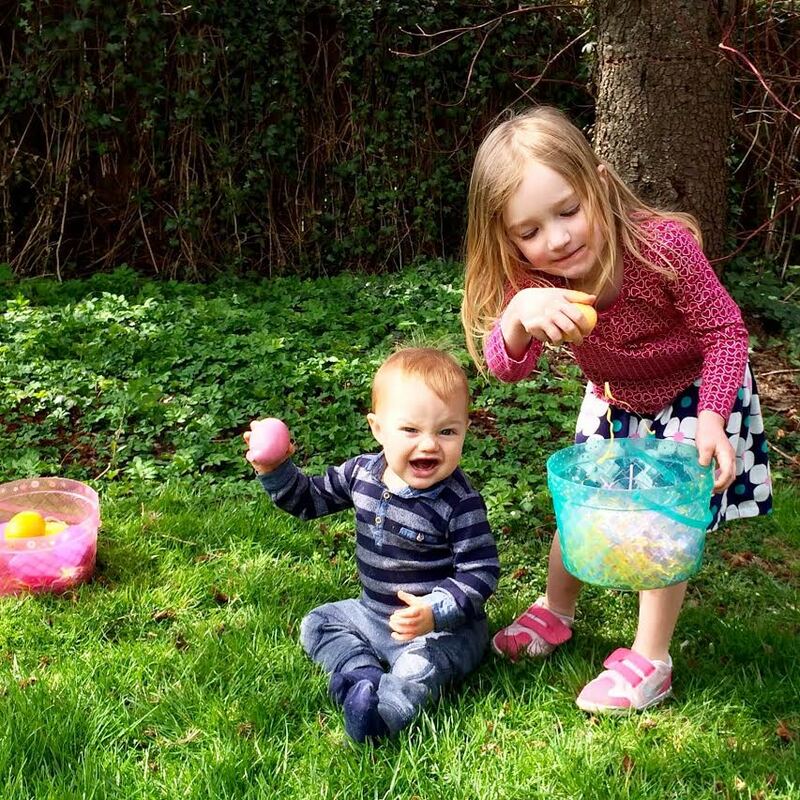 I post this picture of him (with Ella, on Easter Sunday) because it so perfectly reveals his rowdy spirit. He loves to throw. He loves to shout. What Ella builds--strange installations--he destroys. Most of all, he loves to eat--by the greedy handful. Bananas. Chicken thighs. Guacamole. Dirt. Ella's horrible Magic Clip Dolls. And just this Saturday, birthday cake, which he devoured angrily, his little mind figuring it out: "They've been holding out on me!" My favorite part of the day: Halfway through dinner, Owen balls his fists, smirks at me, and growls. I growl back. Ella shouts. Owen shouts, smashing his fists on his tray. The meal devolves to outright savagery--notwithstanding Karen, of course. Anyone who has ever dined with me will attest to this fact: I've always wanted for the perfectly savage dinner companion. (Ella, God bless her, eats like a bird). My son. I love the sound of that phrase. I love his bulk, the smell of his head. I love the sister he has made of Ella, my darling. I love the feeling he conjures in our home--the sensation of purpose, a family unified by a sole, implicit duty: to take care of each other. One year after the fact, I have to admit: I love the little guy.